"Exceptionally good friendly service, Extremely pleased with the 2 silver leaf caskets I ordered for both my parents. Thanks from the Rigg family." 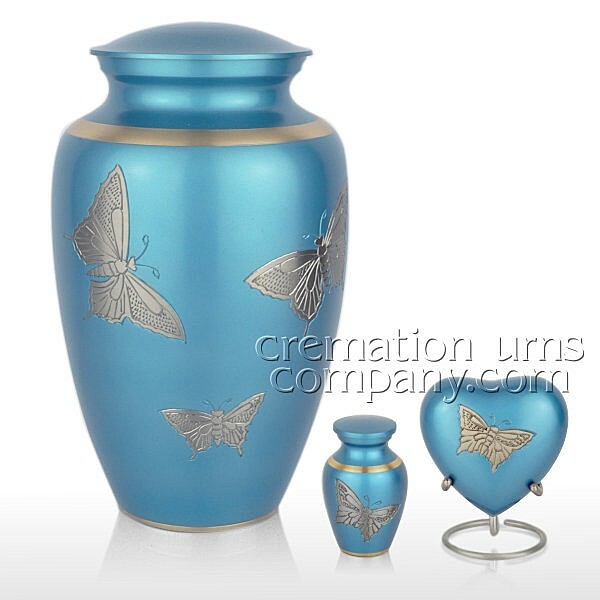 DESCRIPTION - Satin blue finish to the lid and base and is decorated with beautiful pewter butterflies, this urn is made of solid cast brass and is weighty and substantial when handled. 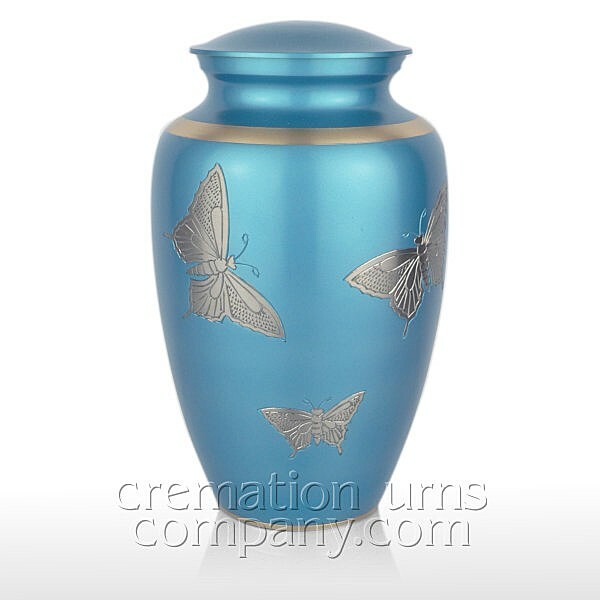 It's only when you get to see your urn in the flesh, you can really appreciate just how much effort goes into making each and every single cremation urn we sell. We do try and make sure all our photos are bright and clear, but sometimes a photograph does not do justice to its subject. 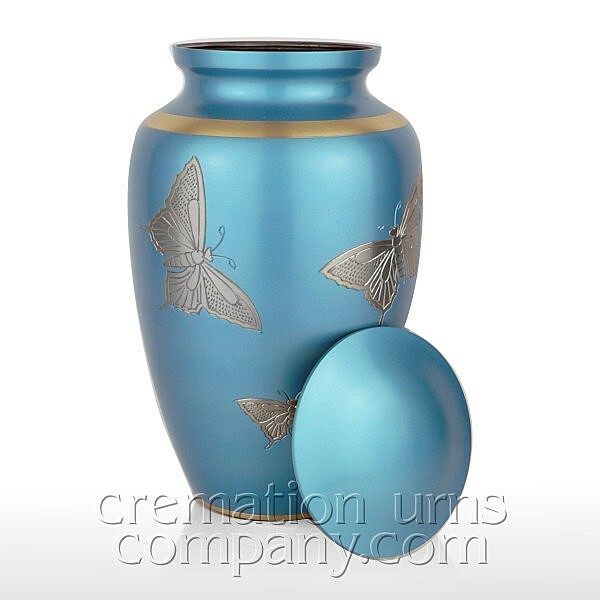 Your cremation urn carries within it the final remains of someone you loved, and consequently it will become one of your most cherished possessions. We understand this completely, and only ever supply products that are fitting and deserving of the important role they will play in peoples lives.